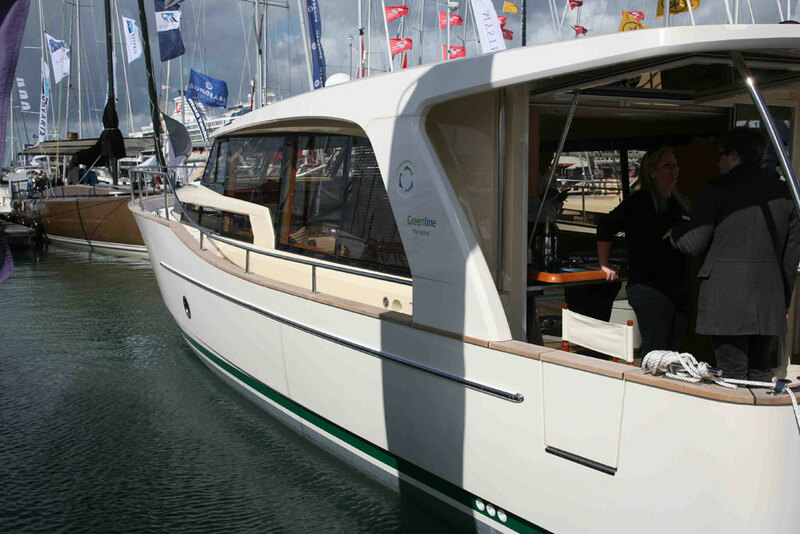 The Greenline 40 proves hybrid power works, in a cabin cruiser design. 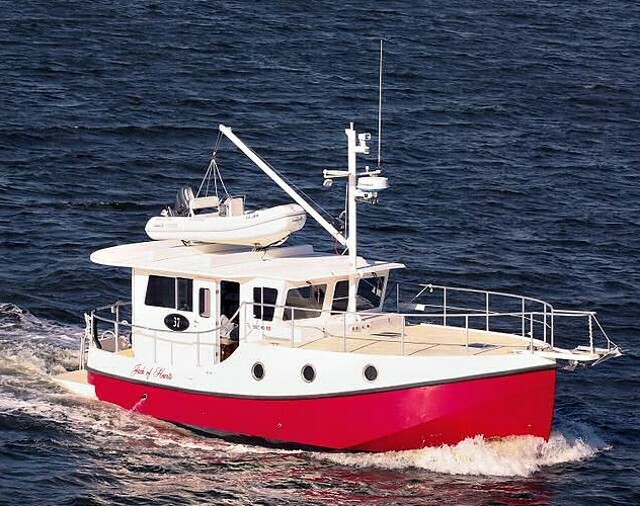 The Greenline 40, along with other marine creations making use of non-traditional powerplants like the Torqeedo Deep Blue electric engine and the Lehr propane outboard, serves to remind us that gas-guzzling isn't a necessity of boating. And Greenline's original model, a 33-footer, has been around for several years now—so this is by no means an entirely new concept. But it remains one that captures the interest of almost every modern boater, who's worried about tripping over his or her own carbon footprint. So what is it about Greenline’s hybrid system that makes it so attractive? 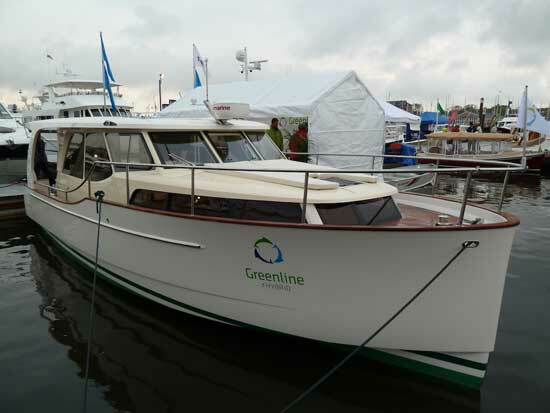 The new Greenline 40 joins the company's the Greenline 33, offering hybrid power in a cabin cruiser. Greenline’s Hybrid diesel electric system is a fully integrated, electronically managed, maintenance-free set-up that's designed to collect, store and deploy electrical energy from three sources – the sun, shore power, or the generator. The system consists of a diesel engine and an electric motor/generator conjoined by a hydraulic clutch. There's also a solar array on the roof and an inverter/charger to feed the Lithium battery bank. 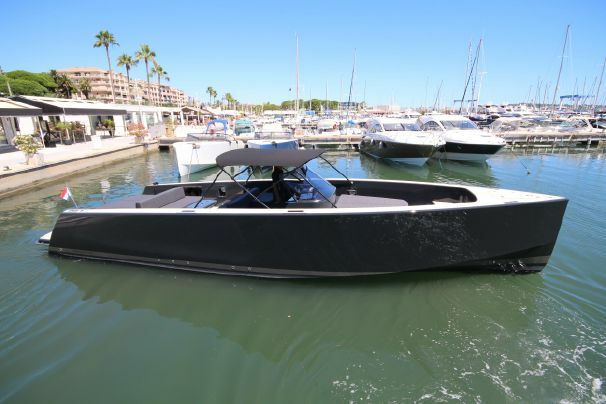 But the clever integration of these features means that all the user has to do is pick between four basic modes: (1) Shore Power Mode (when the battery pack is under charge and the inverter provides domestic AC power); (2) Electric Drive Mode (when the boat is powered by the electric motor/generator, providing a range of up to 20 miles at four knots); (3) Diesel Drive Mode (when the diesel engine propels the boat and drives the generator, recharging the battery pack); and (4) Anchor Charge Mode (when the roof-mounted solar array charges the batteries and provides power to your appliances via the inverter). A gap in the roof's solar panel array provides room for a large sliding skylight. These four modes are selected via a simple user interface and the electronic integration of the system means that if the battery level drops below a set value, the diesel engine is switched on to recharge the battery bank via the generators. In a world of spiraling fuel costs and ecological responsibility, the practical benefits of this approach are unquestionable – but so too are the subjective ones. 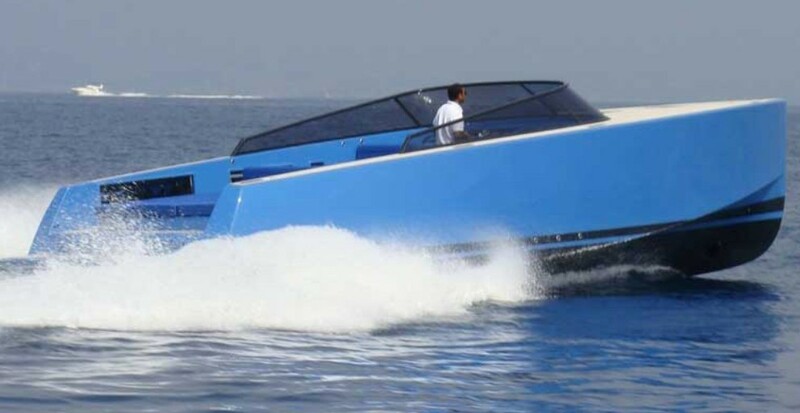 Imagine being able to cruise in silence, but with an endless supply of self-sustaining energy. 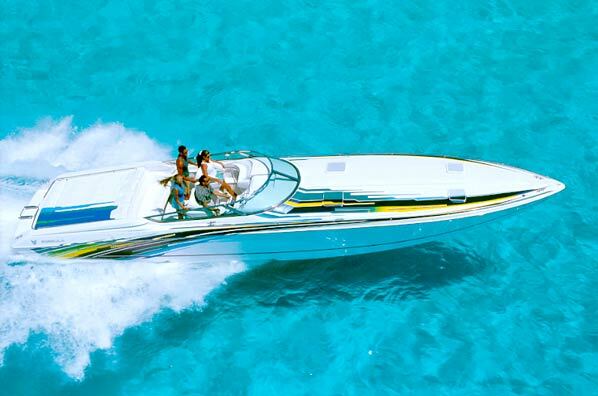 In the right climate at the right speed, it would bring a sense of freedom that's very rare on a powerboat. The hull entrusted to the job of deploying this precious energy is rather grandly entitled the ‘Protected Superdisplacement Hull’. According to Greenline, it generates less drag and less wake than usual, while using less fuel and producing lower emissions. Your running costs are reduced, and you are less dependent on the need for constant fuel stops. The Greenline 40 saloon is big, bright and beamy. 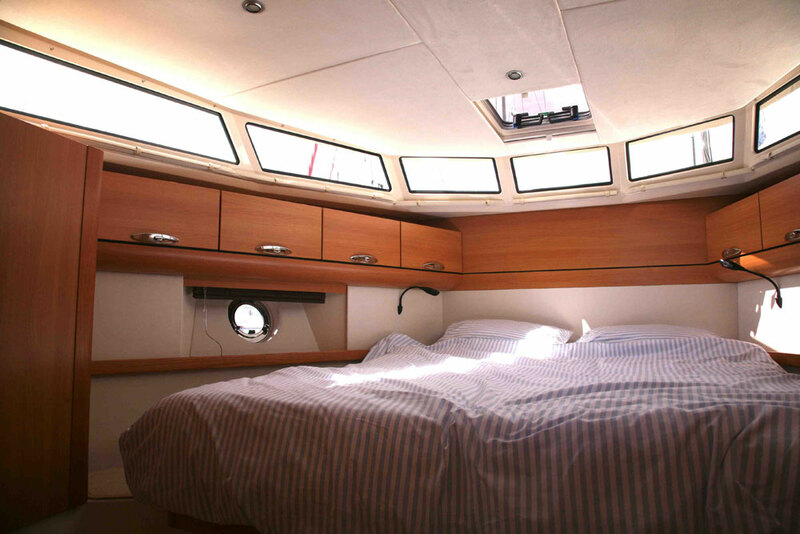 The port helm hatch means great natural light, even for your guests. 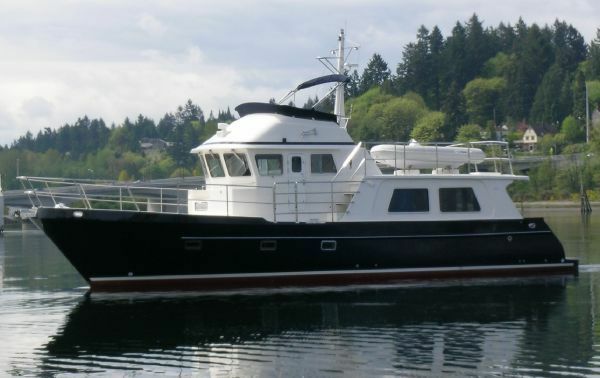 powerfully evident, with large vertical windows wrapping around the entire structure, plus a very large sliding sunroof above the helm station. 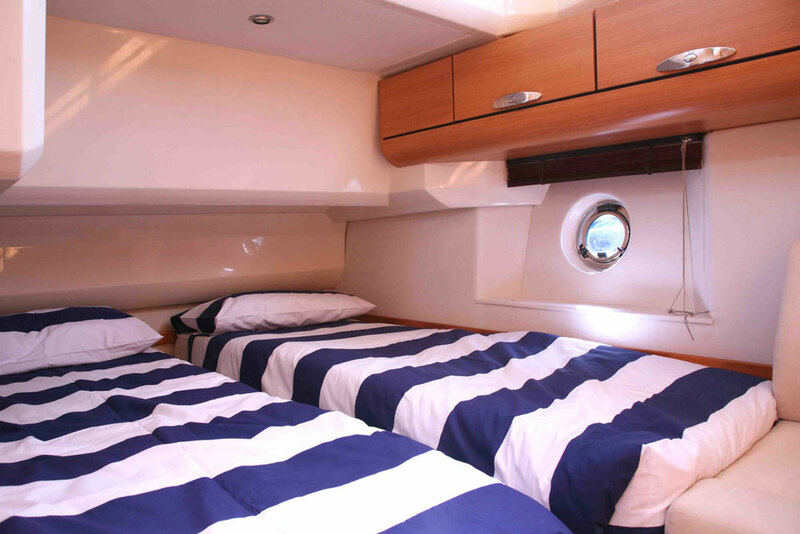 Better still, a sliding hatch at the navigator’s side of the helm means that the twin guest cabin on the port side of the lower deck also benefits from a tremendous amount of natural light. 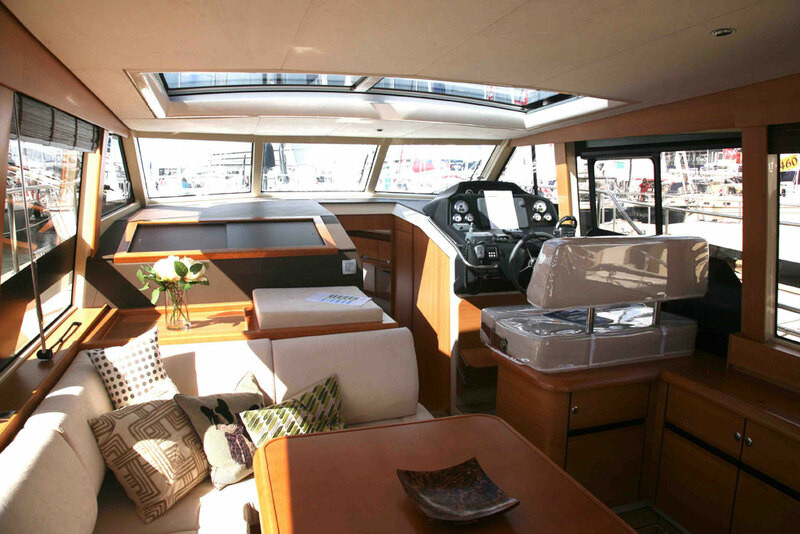 Step back outside beyond the aft galley and you get a fold-down transom that increases the scale of the deck area. 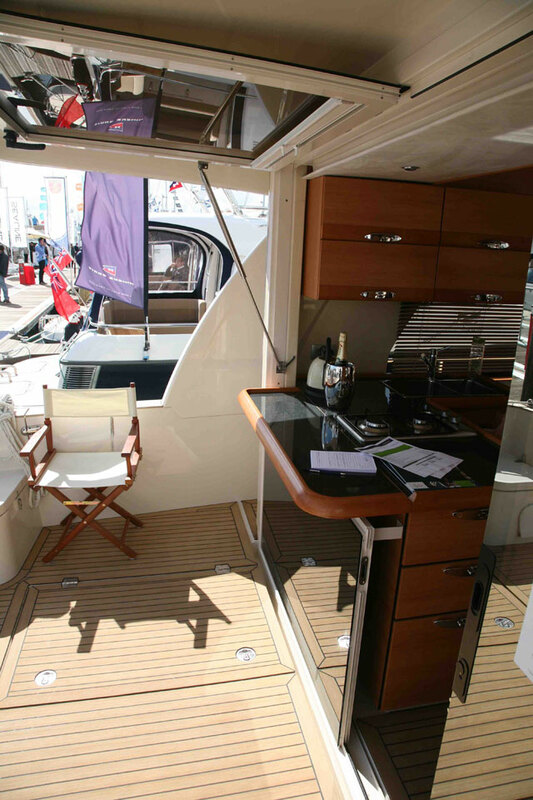 The outdoor space also interacts with the saloon; instead of adopting a sliding door or concertina, the port side of the aft door lifts on a ram and sits flat against the ceiling. This enables the galley to physically extend out into the aft deck, by means of a fold-up bar. Certainly, we’ve seen lots of builders talk about an ‘inside-outside’ space, but this arrangement shows how effective that idea can be when it is properly executed. The Greenline 40 connects the indoors with the outdoors. 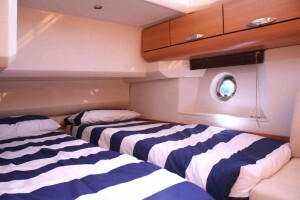 The bow is also conceived in a way that improves both its own practicality and also the experience in the main cabin. 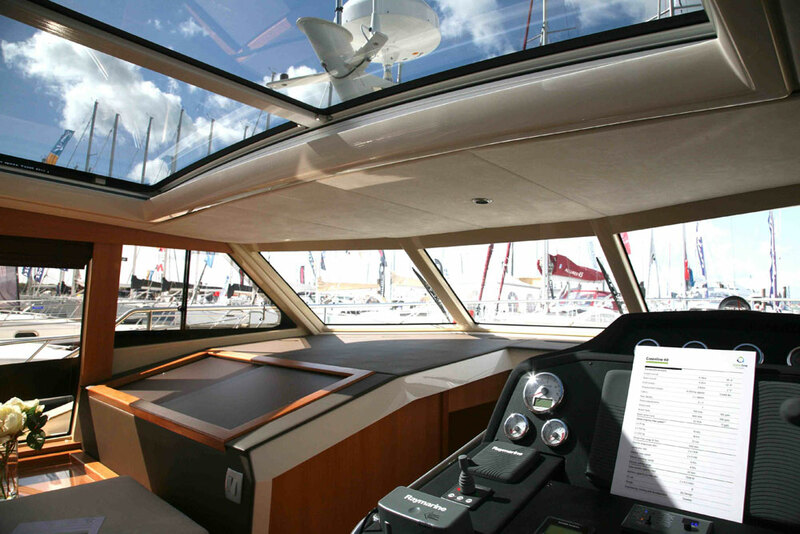 In order to maximize both headroom and natural light down below, the foredeck is essentially raised on a tinted window plinth. Not only does that do great things for the scale and brightness of the internal space, but it also means that instead of the foredeck being very lofty and bulbous, the main raised section is flat and use-able, while the walkway around it remains reassuringly deep and secure. 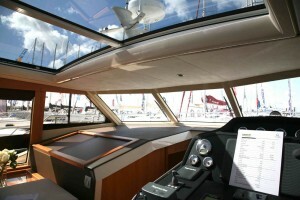 The clever foredeck means great headroom and light in the main cabin. The freethinking design tangents of the Hybrid 40 make it a very civilized boat indeed. In fact, it’s so civilized that it almost makes me feel like I’ve crossed over into the sailing world. The internal areas are bright, clean, and impressively spacious. The versatility of the propulsive system promises refinement as well as efficiency. The exterior spaces are by no means huge but they are cleverly arranged, well equipped, and very secure. And while the 40’s sleeping capacity is fairly limited, the quality of finish, the big internal space, the classic lines and the hybrid cruising ability do a huge amount to justify the compromise. 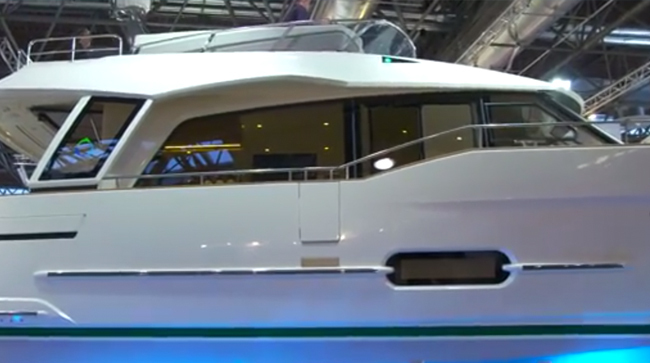 For more information, take a look at our 2014 Greenline 40 First Look Video, or visit Greenline.